After nearly three years of careful study, review and formal discussion regarding Rhode Island locally-administered pension and other post-retirement benefit obligation plans of municipal entities, the Rhode Island Pension & OPEB Study Commission Committee has released their Recommendations to the Governor and General Assembly. The Committee has determined that the 24 communities included in the study, comprised of 34 separate pension plans, owe over $5.1 billion in pension and OPEB liabilities to existing and future municipal employees. This unfunded liability is comprised of $2 billion in pension benefits and about $3.1 billion in OPEB (primarily health-care costs for retirees and dependents) obligations. The committee has defined a sub category of ‘critical status’ plans, which represent plans with less than 60% of the necessary funds or assets available. By following the state required corrective funding formulas, the more urgent ‘critical status’ plans would be back on track for proper funding by the year 2033. An important finding in the study is that while oversight of locally administered plans is necessary in funding, a “one-size-fits-all” approach to managing plans, with a single central agency is not the answer. The committee maintains that the numerous locally administered plans have vastly different contracts and funding complications. Lawmakers require communities to present annual status reports to the state on their pension plans and OPEB liabilities. Establish a RI state board to ensure locally administered plans follows best practices of actuaries and government financial standards. The possibility of withholding non-educational state aid if a community fails to pay at least 95% of its required contribution to the fund for two consecutive years. It was suggested this withheld aid would go towards the plan’s pension and OPEB fund to reduce the unfunded liability. A glaring omission from this report is what options or resources does the state of Rhode Island, specifically locally administered plans, have to lower the cost of the promised retiree healthcare without reducing the benefit level? Lowering the initial cost of retiree healthcare and providing ongoing cost management are key pieces to the OPEB funding puzzle. On January 20th the RI Interlocal Trust voted for the creation of a multi-employer OBEB trust to offer to its 120 public sector entities. 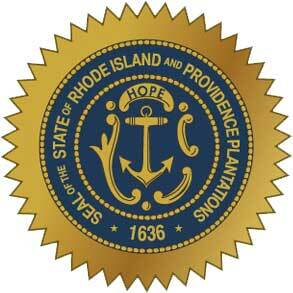 PARS (Public Agency Retirement Services), a nation leader in OPEB trust administration, will assist the Rhode Island Interlocal with creating and managing the new program. PARS maintains a close working relationship with KTP Advisors, a Newport, RI based advisory firm specializing in retiree health benefits, private exchange comparisons, RDS reopening and pharmacy benefits.